The countdown is on until the Government’s digital tax reporting system, Making Tax Digital, opens for VAT-registered businesses on 1st April 2019. The Making Tax Digital (MTD) initiative is designed to bring the UK’s tax administration into the 21st century, while making the reporting process simpler and more efficient for taxpayers. All VAT-registered businesses with a turnover above the current £85,000 VAT threshold will be legally required to digitally record their books and file VAT returns using MTD-compliant accounting software. According to HM Revenue & Customs (HMRC), 99% of all VAT returns are filed online, but just 13% of these are filed using software. The remaining 87% are manually entered in to HMRC’s Government Gateway. However, the arrival of MTD for VAT will mean affected businesses can no longer file their VAT returns using the Government Gateway website. Instead, they will have to submit their returns using MTD-compliant software. HMRC have stated they will not be offering software to help small firms comply with Making Tax Digital for VAT. Some businesses may already be using bookkeeping software that can file directly with HMRC. However, if you’re affected by MTD for VAT and your business is using spreadsheets, handwritten records or non-compliant software, you may need to change your systems, invest in new software or ask your accountant to help you meet your obligations. Why is HMRC introducing Making Tax Digital for VAT? New digital tax accounts will make it easier to check the information HMRC retains about you and your business is 100% correct. MTD-compliant tax reporting software will enable HMRC to review your tax information almost immediately, drastically minimising human error from data input. Benefit from a clearer understanding of how much tax is owed and when within your digital tax account. Your new digital tax account will be designed to liaise with HMRC easily online via secure messaging and webchats. Does it MTD for VAT apply to my business? Familiarise yourself with the rules. Will it apply to your business and if so when? 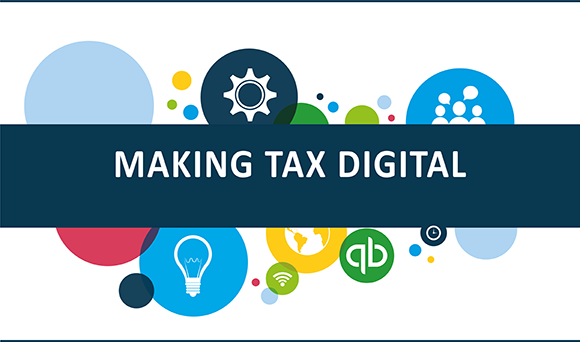 To find our more about Making Tax Digital, please click here to view our free webinar. At TaxAssist Accountants, we have spent considerable time developing the right support services to help small businesses through the MTD for VAT implementation period. We can advise you about compliant software like QuickBooks, which can help make managing your books easier, wherever you are. For a free initial consultation on your MTD for VAT obligations ahead of the 1st April deadline, call your local and experienced TaxAssist Accountants office today on 0800 0523 555 or email us with your concerns via our online enquiry form.